Season is from May to mid-July. Float for 5 days of guided fishing and 4 nights of riverside camping safari style. 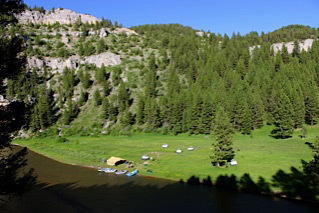 We are the largest permitted fly fishing outfitter on the Smith River. Call Mike Geary at 406-459-2030 for more information about our 2016 available trip dates.